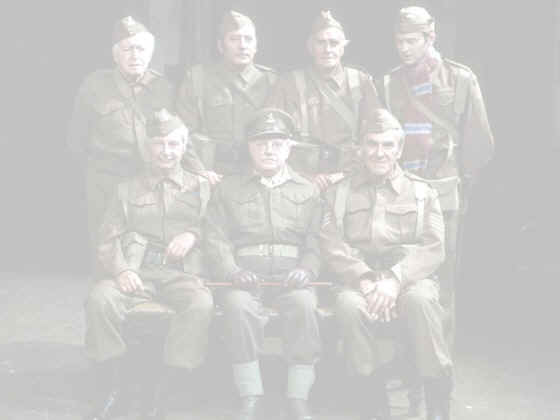 Dads Army was originally going to be titled The Fighting Tigers until the head of BBC Situation Comedy at that time, Michael Mills stepped in and said the title wasn't quite right and suggested Dads Army, how right he was! Whilst Jimmy Perry was working with producer/director Joan Littlewood during 1965, it was around this time that the idea for a comedy based on the Home Guard first began to develop. Jimmy had been in the Home Guard himself during the war and the character of Private Pike was based on Jimmy Perry himself. Jimmy had completed a couple of shows for producer/director David Croft and took the Home Guard idea to him. It was to become the first of 4 shows they did together. Jimmy co-wrote the memorable theme to Dads Army with Derek Taverner, and it won the Ivor Novello award for best signature tune in 1970. The theme is performed by the famous music hall entertainer Bud Flanagan and was to be Bud's last singing engagement before he died. The song is so authentic that people believe it is a song from that era, rather than recorded for the series itself. The series also was voted into 4th position of the BBC's Britain's Best Sitcom. No mean feat considering the programmes it was up against! Dads Army is simply one of the most loved and popular of all British sitcoms.